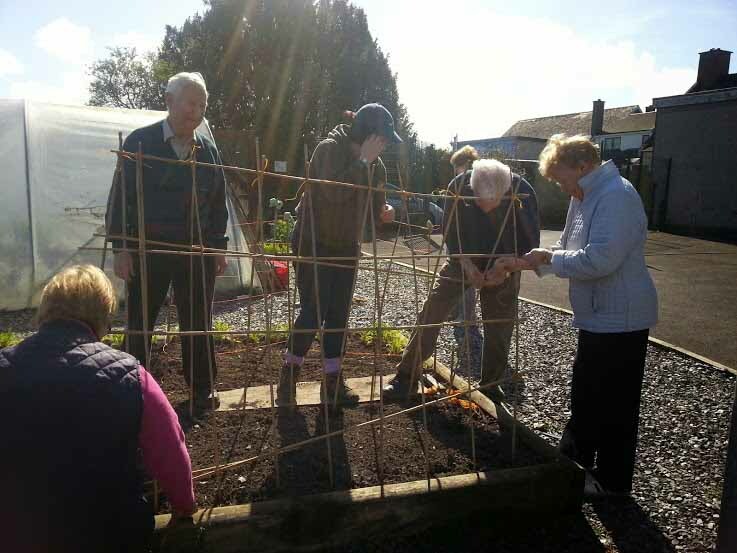 One of the benefits of working in a group environment such as a community garden is the amount of experience and knowledge we gain working alongside one other, as well as learning how to get the most from each other’s strengths by working in a team. This is relevant to both community and work place gardens. 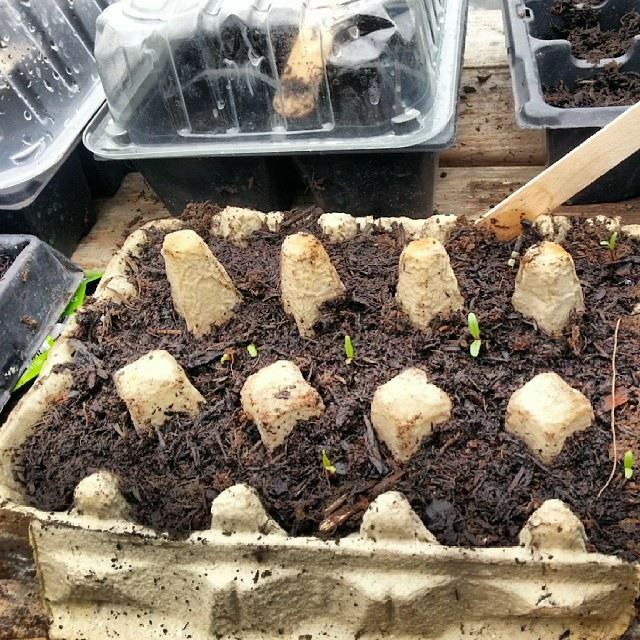 I’ve written some guidelines that you can refer to if you’re wondering what a community garden is or how to set one up, but if you’re already involved with a community garden and wondering how to get the best from it, Callan’s story might be of help to you. 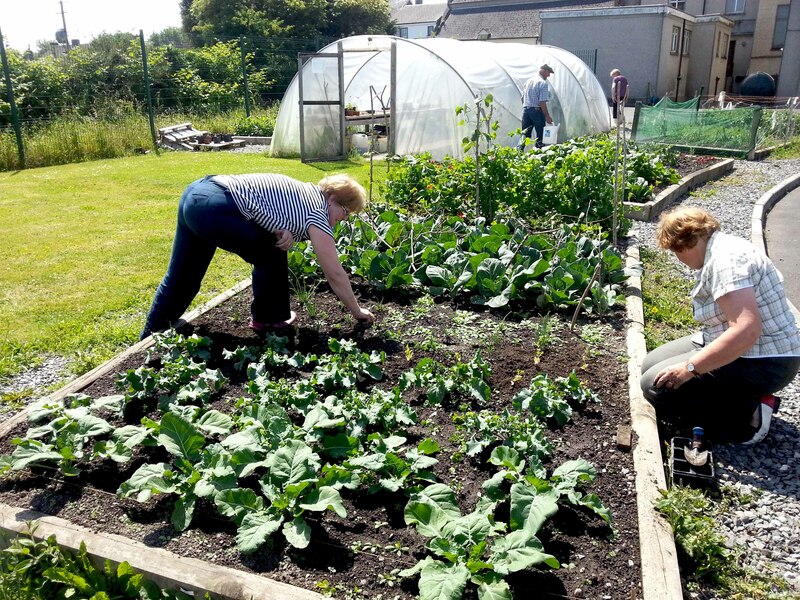 Callan community garden is situated at the back of the old Friary which is now the Droichead Family Resource Centre, a network of centres that were created with community and social inclusion as key elements of their ethos. 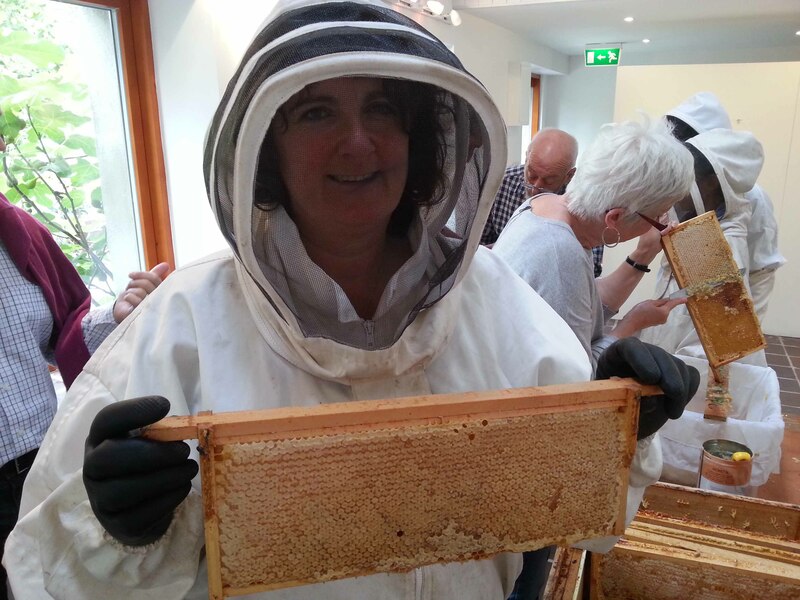 For the past 18 months I’ve been funded by Kilkenny Leader Partnership to work with the group of gardeners, helping them to grow their own fruit and vegetables as well as create an awareness of local food produce and it’s importance in the local economy. This project has also enabled us to create an opportunity for progressive development and sustainability by creating a mini enterprise. Meeting for a couple of hours each week, we began in the autumn of 2012 with a short, basic theory led course where gardeners were introduced to vegetable families, crop rotation, soil requirements, the myriad of seed choices as well as the importance of incorporating wildlife into our gardens. This gave the group a taster of the practical work that would follow in the more garden friendly months and in the spring of 2013, we started work outside on the very small space allocated to us. At that time the garden and polytunnel were divided between several groups, including local transition year students and a FETAC accredited BTEI (Back to Education) course. As the summer holidays approached, the school and horticulture groups finished and the community gardeners began to mind the entire garden. This change inspired a blog post suggesting that schools might be the ideal and natural partners for hosting community gardens, ensuring that produce is cared for and minded throughout the year. 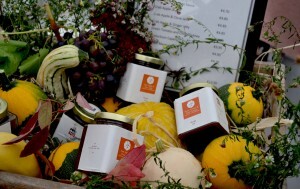 In the autumn we spent less time weeding and sowing and more time cooking and preserving, as well as learning about selling and marketing an artisan food product. During that time I was able to work alongside the group, preparing pickles and chutneys from produce we’d grown from seed. Once labelled, over a 100 jars were taken to the three-day Savour Kilkenny Food Festival where they were proudly showcased and sold by the Callan and Goresbridge gardeners who’d helped to create them.. The mini enterprise was a success in many ways as the gardeners were able to take part and see, first hand, everything involved in setting up and operating a small, local business. The money raised will help to fund further development projects planned for the garden.. The activity also allowed the gardeners to come to the decision that they much preferred to grow the vegetables and give them to friends and not to sell them! It wasn’t a process they all enjoyed and the group have a new respect for those that do it to make a full-time living. They also have an understanding why small business’ have to charge realistic prices based on time and quality of ingredients. As a result and following discussions with Olive Maher, the forward thinking manager of the resource centre, over the coming months we’ll be trying a different approach with the garden. Plans have been made to build more high raised beds that can accommodate people with movement difficulties and due to the extra growing space, will enable the centre to run very relevant and beneficial workshops for the community, using the garden as the hub. A basic budget cookery course is being planned that will use seasonal produce grown and harvested from the garden, as the core ingredients. The feasibility of running a basic landscaping course, perhaps with some stonework, where participants will learn to make a seating area and outside barbecue/cooking area is also being considered. The Family Resource Centre also plan to run a separate mini enterprise course for local people, again using produce grown in the garden. 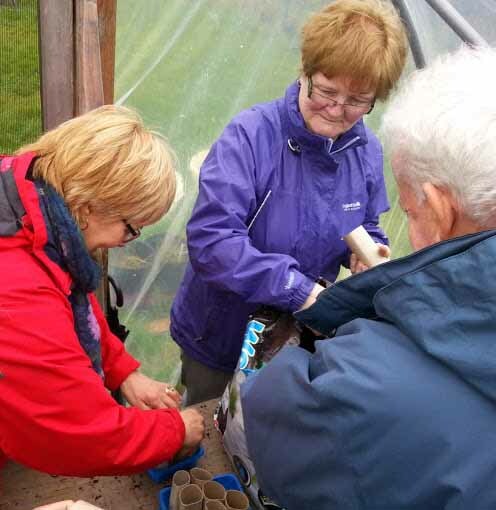 These courses will be available to everyone in the local community at very reduced rates and the gardeners will have a choice on whether they wish to attend them or just continue working together in the garden and providing fresh produce for them. Lastly and perhaps most importantly in a community, the centre are planning a summer party for everyone who visits, volunteers or learns there and I will be working with the community gardeners to provide as much food as we can for that. There are no hard and fast rules about community gardens – each one is unique. Sometimes it takes a while to figure out how to get the most from your garden and sometimes you have to adapt and change original plans, as in the case above. 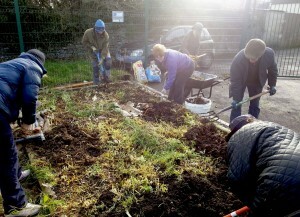 Community gardens are however, excellent social levellers, creating excellent opportunities for people to integrate, interact, learn, work alongside one another and share; skills that are sometimes overlooked but are so necessary in functioning communities, workplaces, home and society in general. If you’re interested in finding out more about community gardening and how it might help you, your community or workplace, contact me here for more information. Great images Dee and it sounds like it was a great success. Apart from the gardening, did it work to bring the community together too or were they already well known to each other if you know what I mean? 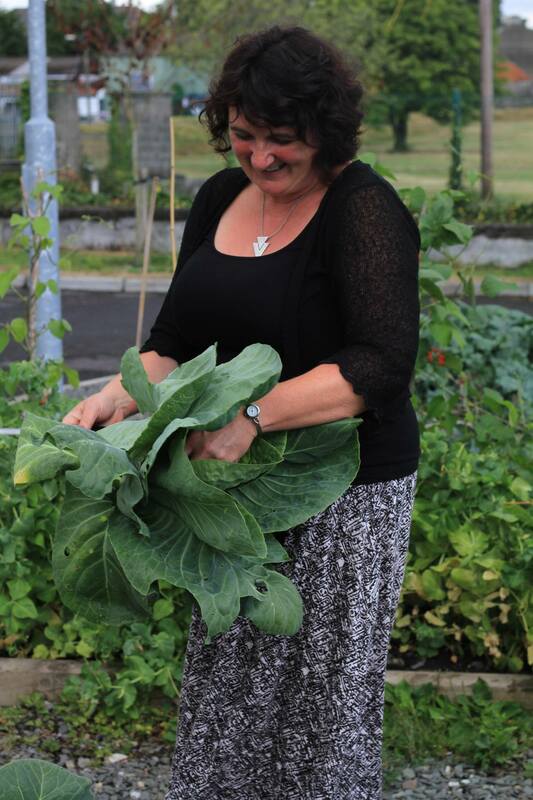 Is there a community garden in Castlecomer? That would be a great spot for one too. It’s great to see these starting up and as you say, people learn so much including the amount of work it takes for those who do it fulltime. Thanks Lorna and yes, though it’s an ongoing project. Callan is quite large and we’re still trying to encourage more people to join the group as now we’ve been allocated more space, we have room for them and although we have some younger members to come along, would particularly like to encourage more as they can learn so much from the more experienced men and women who come along. Most of the group would have been aware of one another – like many rural towns/villages everyone knows one another without necessarily ‘knowing’ them if that makes sense! I met a woman a couple of weeks ago and we were discussing the potential for a garden in Castlecomer. There isn’t one at the moment but great potential at the Discovery Park, particularly as there’s a large polytunnel there already. They could supply the cafe’s salads in the town for a rural enterprise idea too. Definitely lots of potential there. Unfortunately for working people, most community gardens seem to operate during weekdays and it’s one of the reasons I’d like to help workplaces set them up as my research indicated that working folk would love to grow their own but don’t have the time and/or don’t know how. Terrific post Dee. I was struck while reading it how much we have to gain from really pulling together as a team whether it’s a garden, a business, or a cherished dream we want to produce in this world. Thanks Marie and yes, I really hope the new projects lined up are a success too. It’s so much easier to work with support from others. The key will be good communication skills, something we all need to practice and again, perhaps because gardening is a stress relieving activity, it’s a good place to start. Excellent work Dee and a great post. I am only to aware of all the hard work you all have put into the Friary garden since the Spring of 2013.Each day it draws positive comments from the passing public, hopefully you will have the raised beds up and going before the Spring is out. Keep up the good work. 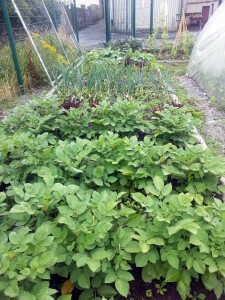 Love this post Dee, I understand more about what a community garden is now. I also love that they chose to abandon the business plan. That may sound a bit odd coming from a business woman but it’s great to see that they are getting value out of it without the financial reward. Lovely to know there are projects like this happening around the country.